When you create a video, it’s not something that you do for entertainment; it’s something that should do a job for you. The great news is, a good video producer can make a video that is very good at doing its job. 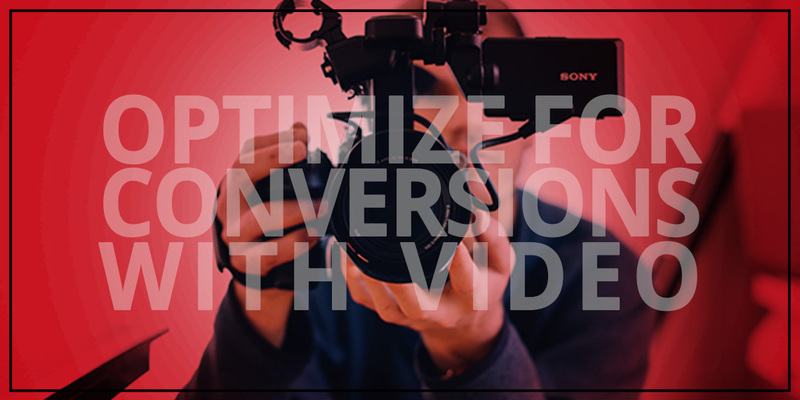 Most of the time, the job you want your video to do is to gain more conversions. Is your video hitting the mark? Think of your video as a salesperson who never sleeps, who is always on the job 24/7, and whose performance never slacks due to tiredness, distraction, or boredom. If you had an underperforming salesperson on your payroll, you’d look for a better one. The same thing holds true for your video. If you’ve had a video on your site for a few months, and you can’t point to the results it has brought you, it probably wasn’t optimized correctly for conversions. Ask yourself the following questions in order to get on the right track with a video that doesn’t just attempt, but succeeds, in getting people to take action, buy your product, make a phone call to your sales team, or sign up for your service. What problem or difficulty do they have that causes them to want my product or service? Is my video drumming up that pain point and highlighting their need in language that they understand? Does my video offer a clear and compelling solution to their need, problem, or pain? Does it paint a beautiful picture of the transformation that they stand to gain if they become my client? What action do I want people to take after seeing my video? Is it clear to the typical viewer what their next step should be? Have I measured and tested whether or not people are going on to take that desired action? If you answer these seven questions, it can take you a long way towards identifying whether your video was created with conversion optimization in mind. If your current visual assets are falling short of getting results for your business, it’s time to get them done right. You’ll gain more attention, inform your customers, and sell more products when your video team has the skill to create videos that do their jobs. Contact us to get started with video creation today. Keep reading to learn one secret of making your customers buy more or buy sooner. At the end of the day, you need video production that brings results, and that’s why knowing about conversion optimization is important. In the hunt to optimize your product messaging to increase sales and boost conversions, here’s one simple tip that can help your customers to buy more, buy sooner, or both. That tip is to solve your customers’ unanswered questions. First, learn what their questions are. Then, answer each question comprehensively in an engaging video. Watch sales happen sooner, with less effort on your part. Think about your own thought process when you’re about to buy an unfamiliar product. You have a running narrative in your head, asking questions to yourself. Will this product solve my issue? How long is this going to last? Is it going to fall apart after I use it once or twice? What will I look like to others when I buy or use this item? Can I do without this? What are the risks to me if I go without this solution? Depending on the product or service in question, you might have a ton of questions that you need answers to before you can pull the trigger to make the purchase. So naturally, you’ll go looking, and when you do, where do you turn first? You search online. That’s exactly what your customers are doing, too. The only question is, will your video appear in the search results with the exact answer they’re looking for? Here’s how you can get in front of the hottest leads, right at the moment that they’re asking questions related to your product. 1. Learn what their questions are. How do you learn what people are asking about your product? Here are some tips for how to do it. Ask people. Survey your customers or even talk to strangers. See what they want to know. Go to answerthepublic.com and type in your keyword or product name. You’ll get tons of results of questions that people are typing into google about that thing. Visit forums related to your industry and search for the keywords that have to do with your product. Learn what people are asking (and also discover what they are complaining or ranting about). Go to Amazon and look for similar products for sale. Read the customer questions and the reviews to extract what qualities are important to people. Creating a video to answer your customer questions is a great idea for several reasons. First, Google tends to give video results a place closer to the top of the search results. Second, people find video more engaging than a wall of text. Third, you’ll have a chance to visually demonstrate your product or service in action, rather than relying on people’s ability to visualize it for themselves. You’ll also have a chance to incorporate your brand colors, logo, and slogans in an unforgettable way in the video. Make the video title an exact match for the wording that people are most likely to be searching for. Think about how your customers would ask the question to Google or Siri in a voice search. Make that the title of the video. Keep the video short. The exact length of the video will vary depending on the complexity of the answer, but a 30-second video will get more views than a 3-minute video. Create a professional, engaging video that reflects well on your brand. It should be creative and entertaining while answering the question completely. Include a call to action at the end of the video. What is the next step that the viewer is supposed to take? Make it easy to take this step. If unanswered questions are creating an obstacle to people making a purchase, then removing that obstacle will unblock those lost sales. 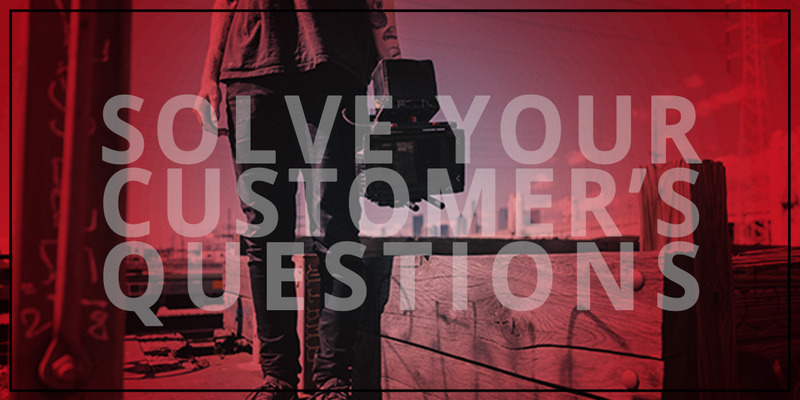 Your customers will feel reassured now that their questions are answered. They’ll proceed forward in their journey towards a purchase, and sales will start flowing in. Don’t miss out on this easy way to harness the power of the internet to make your sales cycle run smoother. Don’t give people an excuse to put off their purchase or buy less. Create your videos answering all your customers’ questions with the expert team at JLB Media. 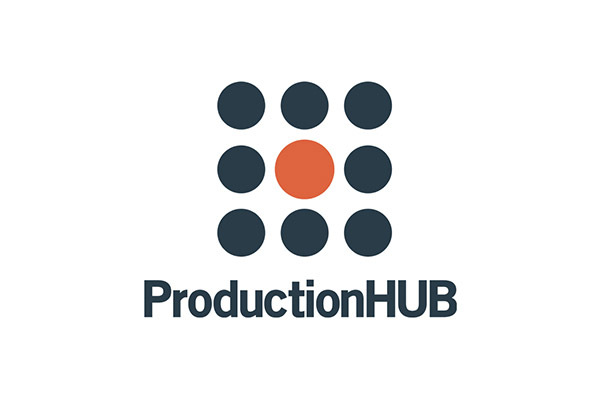 Our video producers bring you the skill and talent that allows your video production efforts to look professional and engaging, and you’ll find the whole video creation process to be easy and straightforward. Contact us to get the process started. Have you ever wondered how you can persuade your website visitors to spend a bit more time on your site? Have you been frustrated by your Google Analytics results that show (1) an enduring bounce rate, (2) a too-low click-through rate, and (3) a mediocre time on site? There is a simple way to solve all three of those problems in one quick step. When you’re in the process of marketing your business, you know it’s a fight to get people to stay on your website. Getting them to land on your page, stay longer, click around to other pages, and ultimately respond to your offer is a difficult thing to do. So what’s the one tactic that can help with all three of these metrics at once? When you record a video about your product, your service or your company, you’ve just created something that people want to engage with. While they might consider it a form of mild punishment to have to read a wall of text, they’ll consider it a delight and a relief to absorb that same information in video form. Video creates allure. It draws people in. It attracts their attention to linger. All these things are very good for your website. Your website’s click-through rate is the percentage of people who see your website in the list of google results and actually click on it. You can boost your page’s click-through rate by writing a title tag for the page that includes the term, “video.” When someone knows that there will be a video on the page, they’ll be more likely to want that result. Also, depending on how you embed the video, the thumbnail may appears to the left of the text in the search results. 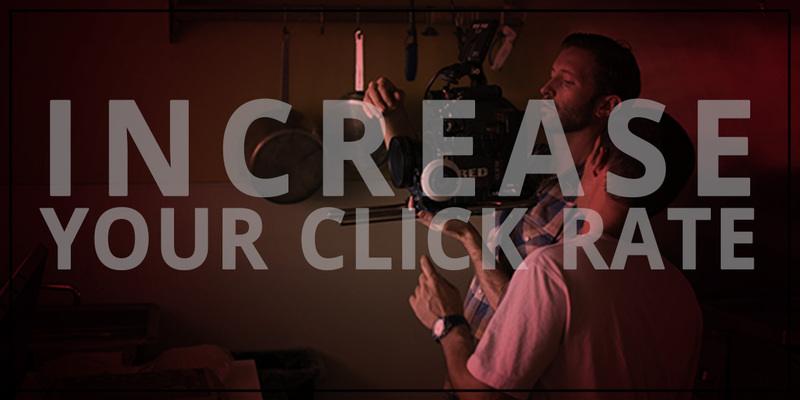 Having a video thumbnail will also increase your click-through rate. Your website’s dwell time is the amount of seconds of minutes that the average visitor stays on the page. Is your dwell time hovering around 20 seconds and you’d like to boost it up? Try adding a one-minute video and watch the results naturally increase. People will stay longer on your page to watch the video, and even if they don’t finish the video, they’ll absorb more information because of seeing your video than if they had simply glanced around the page. A video that’s well-done will always have a call to action at the end, something that gives the viewer a clear next step of what they ought to do. Bounce rate on your site is the metric that tells how many people visited your page and then left without clicking on any other page on the site. If you can get people to click even one time, that will send your bounce rate plummeting, which is a very good thing. Adding a video to the page is a great way to drum up the excitement in your viewers that will make them want to click to go to the next step. What are you waiting for? A video might not be all your website needs, but it will surely form a strong part of a strategy that will make your site stronger, more compelling, and more effective at getting sales. The team at JLB Media has the skill, the passion, and the knowledge about video creation that will take your website to the next level. Get in touch with us today to get the process started. Keep reading to discover a simple way to instantly boost your customers’ engagement. Have you ever wondered if your customers are tuning you out? Are people simply indifferent to your product or service? Do you work in a boring industry where it’s hard to generate excitement? Have you puzzled over how to turn your customers’ boredom into engagement? In this section, we’ll cover the simple tip that allows you to boost your customers’ engagement and smash their boredom to smithereens, even if you’re in a boring industry. We live in an age where people no longer primarily communicate through reading and writing. Our society is still literate, but there is a big difference between the amount that you can grab people’s attention through written language and photographs alone. It’s universal that someone’s preferred means of communication is the one that best reaches their heart, and the preferred means of communication today is definitely video. This is increasingly true the younger your target audience is, but don’t make the mistake that older people aren’t also drawn in by video as the most engaging format available. If your website is relying heavily on written text to communicate with your audience, they’re going to be bored. They’re going to struggle to absorb your message. They’re going to take away much less than you intended them to. How do you get around this communication gap? How do you reach the hearts and emotions of your customers? How to you awaken their interest and cause their minds to come alive when they interact with your messages? The answer is simple: Video production. Here’s the truth: the way people interact with other people in real-time, face-to-face interaction is through live, audio-visual methods. Video is the format that comes the closest to delivering that. It doesn’t matter if you’re a visual learner or an auditory learner; video mimics the way that humans communicate with each other, and that makes it the most powerful method available. It doesn’t matter how boring people used to think your offering was. All that is about to change. With a little bit of creativity and a lot of video production skill, whatever you are trying to tell people can be transformed into something that they’ll resonate with, react to, and genuinely enjoy. There’s almost no one more bored than a high schooler sitting through yet another class. And yet, the folks behind the Standard Deviants series of videos found a way to create videos that were compelling, hilarious, entertaining, and memorable (in their cheesy, exaggerated way) that caused solid learning to take place and concepts to stick, on topics from biology to Shakespeare. If video can do that for high schoolers, it can do that for your product or service. All you need is the right team to help you to accomplish that. The video production team at JLB Media works with clients nationwide to produce the videos that highlight you in the best possible light while being engaging, creative, entertaining, and well-made. Any video you make reflects something about your company, either in a positive or negative light, so it’s important to know that you have the right team behind your videos. Watch as your customers suddenly sit up straighter, take notice, and suddenly engage with your product or service. When you can get someone’s eyes to light up and jaw to drop, you can also get them to open up their wallets. Suddenly, purchases will start flowing in, simply because you’ve grabbed people’s attention in a meaningful way, resonated with them, and made your message memorable. Get in touch with us today to discuss your video project, and discover how easy it is to make your clients interested. 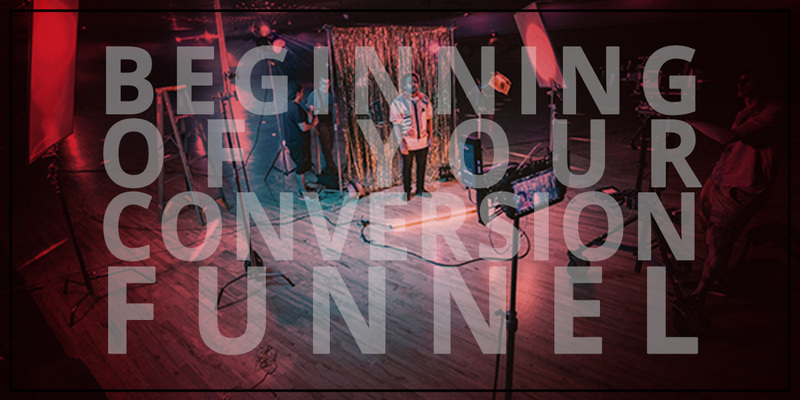 Read on for video creation tips for the beginning of your conversion funnel. How many people know about your product? What efforts are you making to attract the attention of people who have never heard of you? Are your marketing efforts good at bringing in new leads to your sales team? The top of your marketing funnel is where you create awareness, get people’s attention, and generate leads. This is where you have to do the hard work of moving people from the place where they’ve never heard of you to the place where they recognize your name and know that your product exists. How are you doing at marketing to the people in the first stage of your funnel? 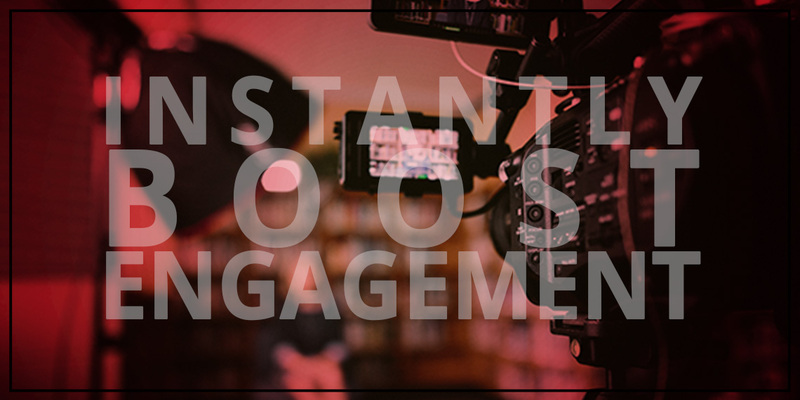 Video is a great way to help your prospective customers move into the funnel and progress seamlessly down through the stages until they make a purchase. However, there are different strategies for what the video should contain, depending on the stage of the funnel that it supports. The performance of your marketing efforts will vary based on how effective you are at creating the right kind of content for each stage of the funnel. The goal is always to reach your audience right where they are and then move them gently to the next step. Here are some tips from our corporate video production company for you to optimize your video’s content for the top of the funnel. When your goal is to generate leads, you need to approach people with the high-level, global, broad-brush picture of who you are and what you do. No nitty-gritty details for the top of the funnel. That will come later. Imagine that you’re at the local chamber of commerce at a meet-and-greet event. A stranger walks up to you and says, “So, what do you do?” The two-sentence summary that comes out of your mouth is probably the message that you want to deliver to your top-of-the-funnel audience. Your video strategy for people who are just entering your funnel should take this into account. For people who are just finding out about you, your video should draw them in with a very engaging, interesting overview that answers these basic, high-level questions. Too often, videos aren’t designed to be a precise match to the stage of the funnel that they were developed to support. When a prospective customer has just entered the awareness stage of the funnel, your next step is to get that person to show interest in the product. However, what many people do is mistakenly try to jump from the beginning of the funnel straight to the end. “Hi, you just heard of this for the first time, and you should buy it now!” While that might work for certain small-ticket items, you’ll get better results if you focus on progressing people gently through the stages of the funnel. Instead of ending your top-of-funnel video with a call to action to make a purchase, why not try a different method? End with a call to action to move to the next stage of the funnel. Perhaps you invite the viewer to read more information, or perhaps to download an ebook, or to dive deeper into the product specs. Whatever call to action you choose, measure the results and track people’s behavior. What happens if you tweak this or that? What can you do to increase the number of people who move deeper into your funnel? When you’re dealing with the people at the top of the funnel, if you switch from asking them to buy, and ask them instead to do something easy that takes them to the next part of your funnel, you’ll almost always see an uptick in response. However, you won’t know if you don’t measure, so keep close tabs on the performance of your campaign. Want to know one of the most powerful methods of grabbing people’s attention, creating awareness, and generating leads? Video will introduce your prospects to your company’s product or service in a way that surpasses other methods. The video that will reflect the best on your company and your brand is high-quality, skillfully-produced video. When you have the video team on your side from JLB Media, you’ll be able to target people at the exact stage of the funnel where they’re at. Talk to us today about getting your video project started. Keep reading to learn more about targeting your prospects right where they are. In our next segment, we’ll cover ways that you can optimize your video for conversions in the middle stage of your funnel.